We created a his and her "funbook" to help couples connect. When you and your partner are a unified force, you can accomplish almost anything together. Now let's be clear. This is not a book filled with date ideas or how to plan a lovers getaway. Just use Yelp and Expedia for that. 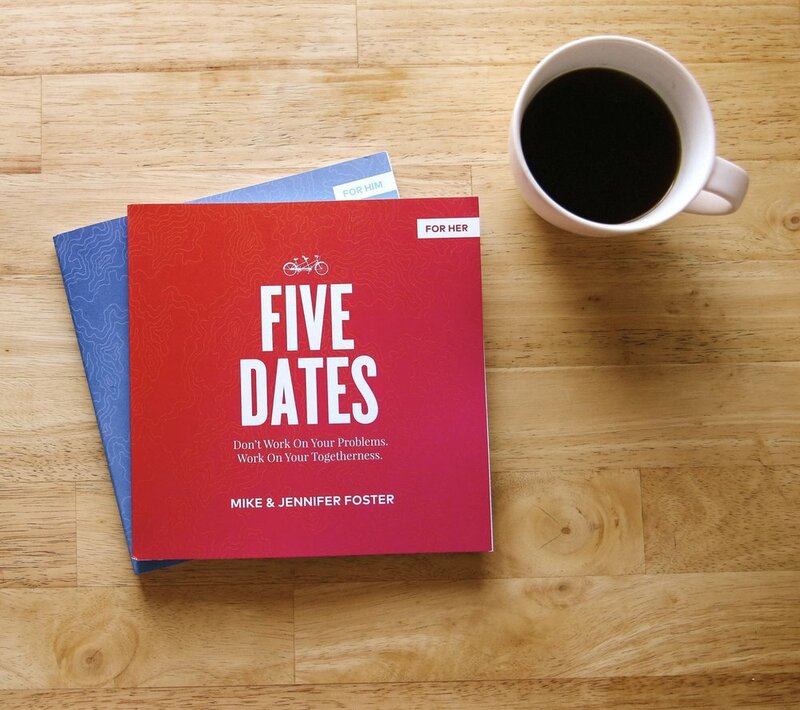 "Five Dates" is your strategic guidebook to building the relationship you always wanted. The process is simple, innovative and something that both of you will love to do together. What makes Five Dates unique? Many relationship tools unknowingly set couples up for failure because they create unrealistic expectations and add unneeded pressure to the relationship. This process keeps it positive, encouraging and hits the most core topics for creating a healthy relationship. To put it simply, we set you up to win! Take the "Five Dates" challenge and see the impact for yourself. Remember, your relationship started with a first date. Imagine what can happen with five more. 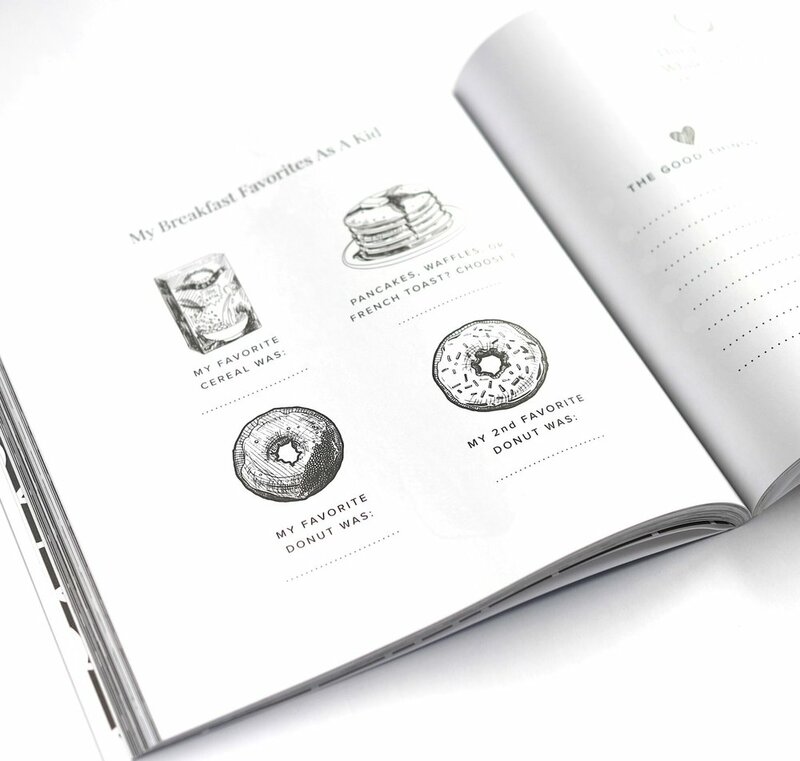 Step 1: Do the reading and exercises in your own "Five Dates" workbook. Step 2: Plan a date and meet at your favorite spot later in the week. Step 3: Discuss the concepts and exercises together. Step 4: Repeat these steps for each chapter. Promise #1: The process is designed for you to succeed. Promise #2: The content will be practical, biblical, and fun. Promise #3: The topics will be positive and life-giving. Promise #4: We will be honest and direct with you. You get 1 book for him and 1 book for her in the Five Dates bundle. Each workbook is 150-pages in length and the content is created to take into consideration male and female learning styles. The workbooks are maximized both for fun and effectiveness. DON'T CALL IT A WORKBOOK CUZ It'S JUST TOO FUN TO BE CALLED WORK. "Five Dates" is a his and hers bundle that includes one book for him and one book for her. But these aren't your typical books. The content is powerful, fun and practical. With just a small investment of time each week, you will learn how to build the type of relationship that you desire. Guys Will Like It! We Promise! Here's the deal. After years of research and conversations with hundreds of men, we learned something incredibly important. Guys want to grow but they just don't know how! They lack a clear process and a framework that considers their learning styles. Most relationship tools are too time intensive, overly wordy and make it hard for him to succeed. That's why "Five Dates" is perfect for the guys! THE HEART BEHIND "FIVE DATES"
Here are the facts: Relationships are hard. Marriage is complex. Couples unknowingly sabotage the very thing they are trying to keep. These truths of life motivated us to ask the question, "What can we do to help?" Many of our friends have been struggling too. Deep frustrations with their partner. Affairs. Constant fighting and friction. Couples are struggling and we wanted to help. Married couples. Engaged couples. Couples just starting to date. No matter where you're at in your relationship, "Five Dates" will be a perfect tool to help you grow, connect and discover true intimacy with each other. Join couples from all around the country as we invest in our relationships this year. We believe our partner and our relationship is worth it. By saying "Yes" to the challenge you agree to go out on five dates with your partner for 5 weeks. Utilizing the workbooks and discussion questions, you are accepting to challenge to build intimacy and connection in your relationship.